Working with agency Finding Nektar, I was asked to rework the current tone of voice for independent handbag brand, De Marquet. The Night&Bag is truly unique in design, with it’s interchangeable bases and covers. However, the copy previously on their website was not driving sales, explaining the individuality and self expression that comes from these designs, or even how they work! So, this is where I came in, to give De Marquet a bit of a voice, whilst being relatable to the core demographic. Do take a little peak below at the live web page! All words were written by yours truly and the design by Finding Nektar. 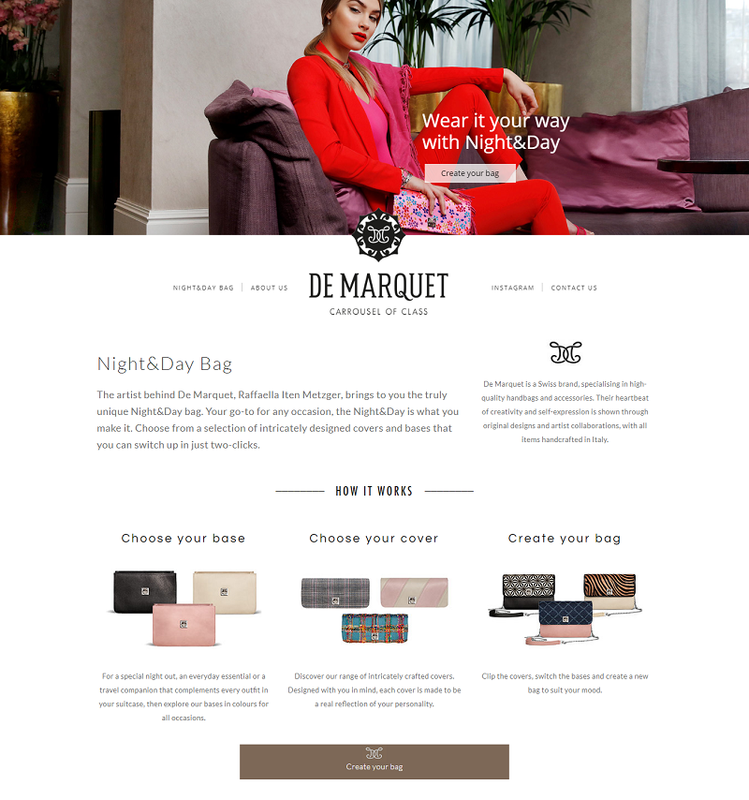 If you’d like to visit De Marquet, you can find their website here.